She is clothed with strength and dignity. She can laugh at the days to come. 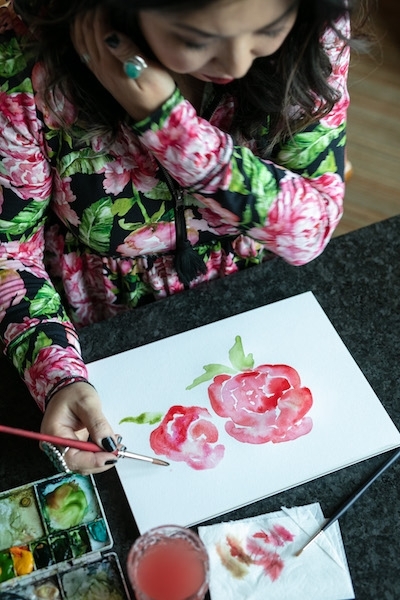 What better collaboration is there, than the beauty of a Ruth Chou Simons hand-painted peony floral design and the absolute comfort of our iconic and beloved Sophie hoodie? Traditionally associated with romance, prosperity and compassion, the Peony bloom is both bold and outrageous in its loveliness, and all of these are exactly what we wish for the ladies that wear Evy’s Tree. Strength, dignity, a quickness to laugh even in the presence of sorrow, and hands that reach out to others with compassion…the art and ministry at the core of Gracelaced and some of the values of Evy’s Tree. 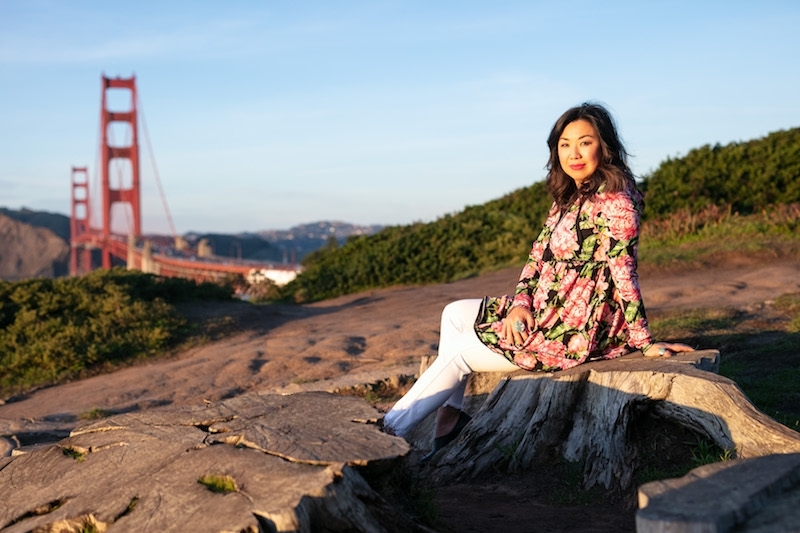 All of this combined gives us the new Sophie in Peony; very lightly brushed and similar to the recent Sophie in Ink, the Sophie in Peony has the same details as our summer floral Sophie from last year with the same tassel pull, swiss dot hood lining and trim around the hem. 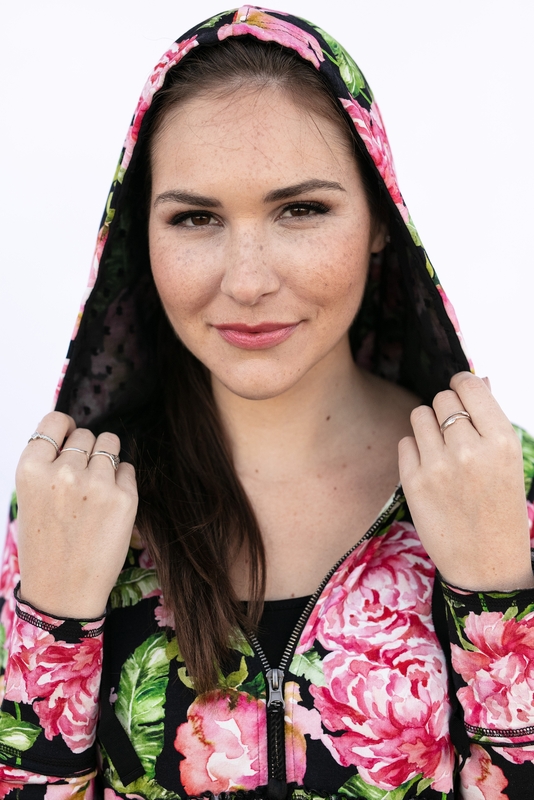 If you are new to Evy’s Tree, trust us when we tell you that the Sophie is the number one best seller and most-loved hoodie in our entire hoodie-verse, and there is a simple reason for that; it’s the ultimate and final word in comfort and happiness. It has appeared in more color variations than any other style, and has been the only piece where we have actually paused factory production of other styles in order to make additional inventory of certain Sophies, due to overwhelming demand. Our customers created the hashtag SophieNation in order to share their devotion and love for Sophie! So if you have one Sophie, you probably have three. Or five. Or all the colors ever made! Why is the Sophie amazing? Sophie is comfortable and allows room to ‘breathe’ if you want a fuller, comfortable yet gorgeous top. Some ladies prefer to have a more fitted ‘baby doll’ style and this is easily achieved by sizing down. The Sophie is the perfect marriage of comfort, style, and beauty! 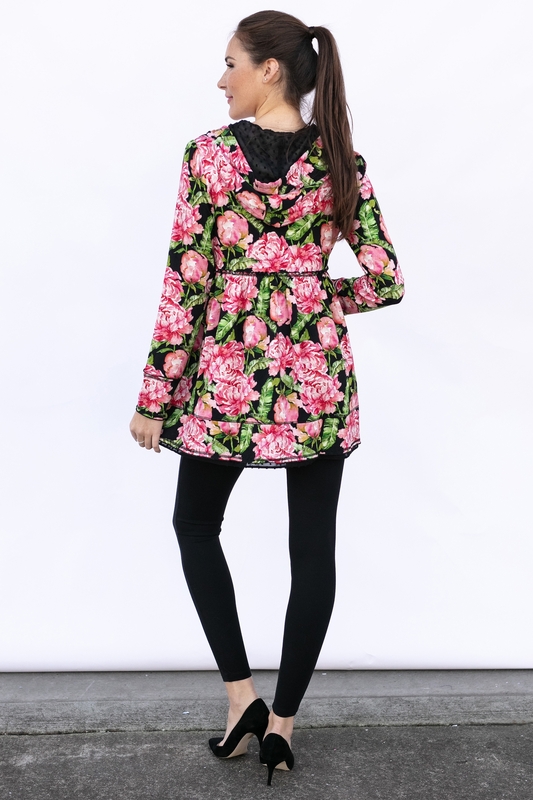 Wear it with leggings, jeans, skinny skirt…wear it zipped up or left open, and layered over a top or dress. If you’re pregnant, the Sophie is an absolute necessity for maternity, hospital stay, and postpartum comfort. Plus, the zippered closure aids in quick, easy breastfeeding! The Sophie is simply comfortable, pretty, and easy to fit into any ladies wardrobe in a vast variety of ways.